We have reviewed Cloud System Booster free version before, and found it’s a very good system maintenance & optimization tool for home use. Recently the developers of Cloud System Booster have released a new version of the the software with a few extra features and improvements. The big amount of improvements on this Cloud System Booster are listed as up-to-date defined database, enabling Cloud System Booster restore and system restore separately and multi-language module available and so on. This Cloud System Booster contrives to work more efficiently, appear better looking and enable more convenient use. While it seems that everything which was available in previous version remains 100% free, the developer now also offers a $19.98 Pro Edition which ships with additional features such as Mini Cute Boost, Automatically Update and Automatically Boost, and there are no limits for updating more features and functions during the valid license code period. The Mini Cute mode gives away a big strut in view of innovative use, making system boosting more quickly and slightly. Its expandable fan resembles a little agile cleaner and other three utilties there to fantastically realize system maintenance in a light manner with efficacy. There is no need for you to open the main screen of Cloud System Booster to optimize your PC now if you give a try for Mini Cute Mode. Powerful Cleaner to Clean and Free up Disk – It scans and analyzes entire computers in as little as one second, and cleans computer by several aspects, including junk data on disk, registry, and more unneeded Windows files. 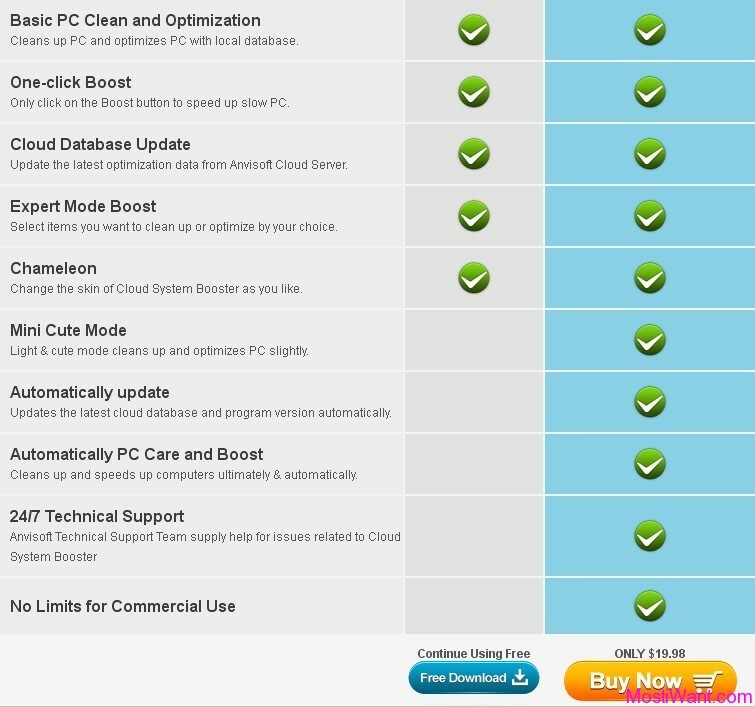 Cloud System Booster’s engine is fast and powerful, and it scans deeply and thoroughly than traditional system cleaner and optimization tool. 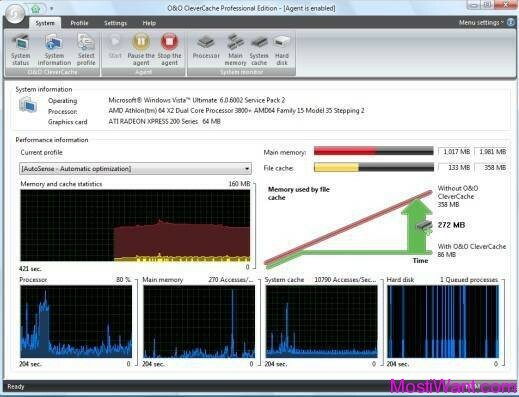 Disable Unneeded Services and Optimize PC – Services are small helper programs that aid larger applications. By customizing which services are active and which are disabled, Cloud System Booster can optimize your computer to make it perform at its peak. It optimizes network connection to accelerate surfing speed and make internet speed run smoother. 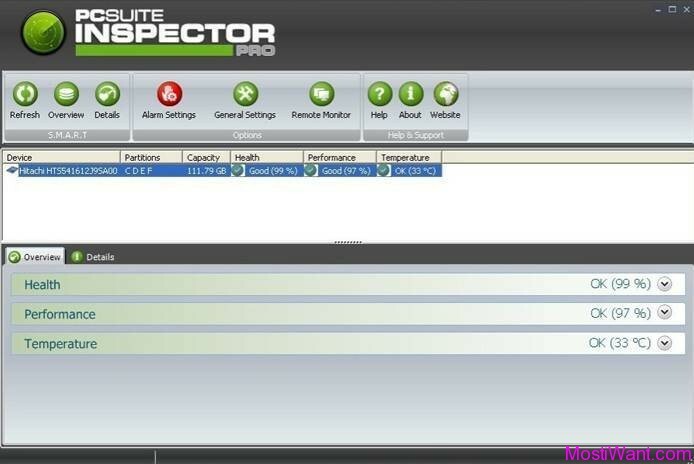 One Click to Perform a Scan and Execute Through Cleaning and Fixing – Cleaning computers, fixing PC errors, and optimizing System are not difficult by the one-click solution provided by Anvisoft. After setting your own-defined scanning and cleaning or fixing modules, you can simply click the Boost button to execute completely PC cleaning, optimizing and repairing. It’s designed PC novices without thinking. Typical Expert Mode for Professional PC Fix – If you are a tech professional, Cloud System Booster will also satisfy your requirements. Go to expert mode by clicking EXPERT button on the right corner, and select the module you want to scan, and also you could select or deselect items you want to scan in your system. Performance Automatically boosts PC when PC is idle in background. It also can care PC at a scheduled time automatically without disturbing your work. Schedule an appropriate time to perform the boost by your right choice, and you don’t need to execute it manually any more. Online Cloud Database – Cloud System Booster allows you to download and install the latest online cloud database automatically or at a scheduled time. 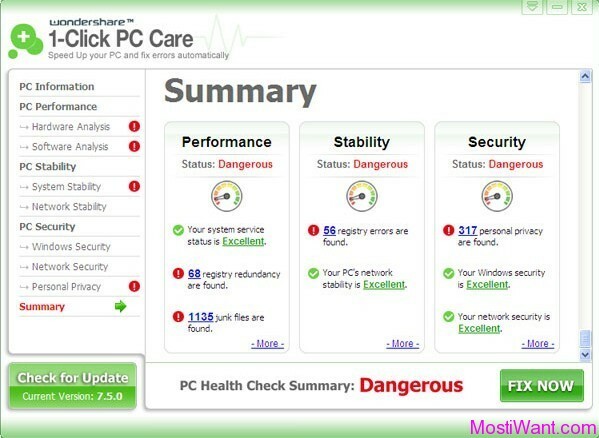 It keeps your PC running smoothly and efficiently with frequently updated online database. If you are a satisfied user of Cloud System Booster, why not choose to upgrade to the PRO version of Cloud System Booster? Now, in cooperation with Anvisoft Corporation (developer of Cloud System Booster and sponsor of this giveaway), we can offer 10 free serial license key to activate the Full Version of Cloud System Booster Pro. To participate in the Giveaway, simply leave a comment below to register for the contest. A valid email address must be entered on the “Mail” field. And do NOT post email address inside comments to avoid spam. The Giveaway will end on July 12, 2012, 12:00 PM GMT. Winners will be selected randomly according to random.org, and will be announced before July 13, 2012, 12:00 PM GMT. it realy boost my pc ! @Marek, sorry this giveaway has expired now. Thanks for providing costly software for free. Plz next time count me. Thanks for giveaway.Please count me in! Thanks for the Giveaway! Please kindly to count me in too! Thank you! It’s excellent software. I like it. Thank you! Excellent software for optimization! Count me please. Reviews say this is fast.. and cloud based features are appearing in many big internet suites. Keen to try it..thanks! 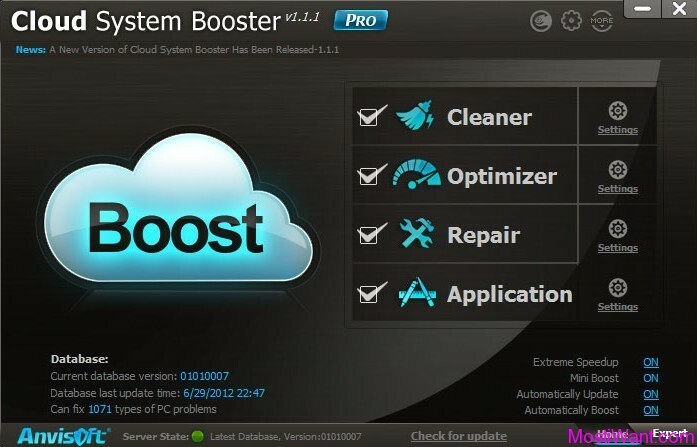 Cloud System Booster Pro sounds like the latest in “cutting edge” technology for keeping anyone’s computer in top performing condition. The Online Cloud Database feature seems to be the future of “state of the art” software. Sounds like a great thing to have. Thank you for this opportunity. So far, it seems very good. I have used quite a few. I will use it for 2-3 months then tell you my honest feelings as to it’s strength and weaknesses. A few are above average. Many are just average. A few are clumsy or dangerous.